Timati Feat. 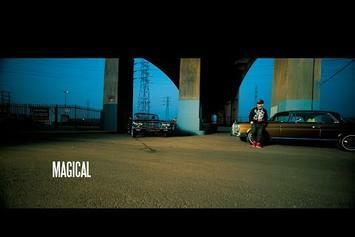 Snoop Dogg "Magical"
Watch Timati Feat. Snoop Dogg "Magical"
Experience Timati Feat. Eve "Money In The Bank" Video, a new offering from Timati, which was released on Friday, April 8th, 2011. Things are looking better for Timati with each new release, which Timati Feat. Eve "Money In The Bank" Video has proven yet again. It's worthy addition to the impressive body of work Timati has been developing over the years. We're looking forward to hearing what's next. Peep Timati Feat. Diddy-Dirty Money "I'm On You" Video, the latest visual from Timati. It dropped on Wednesday, December 29th, 2010. Timati's odds keep getting better with each new leak, and Timati Feat. Diddy-Dirty Money "I'm On You" Video will undoubtedly improve his chances of winning. It's a worthy addition to a respectable catalogue that has seen a lot of growth since Timati debuted in this game. We're looking forward to the follow-up. Listen to I'm On You, the new track by Timati featuring Dirty Money which was dropped on Saturday, December 18th, 2010. Bump Foreign Exchange, the latest cut from S.A.S. featuring Cam'ron, Timati, And Fler on the assist. It was released on Friday, March 12th, 2010.